If you are wondering how inspiring quotes for kids can encourage self-reflection, critical thinking, and healthy development, this series of articles is for you! In today’s digital world, adults have discovered an intense interest in quotes and share them widely on social media. Why? Because quotes contain deep seeds of meaning. Often, quotes help us make sense of the social, cultural, and political culture of our times. They inspire us to live up to our ideals, remind us of our humanity, and enrich our understanding of ourselves. Good quotes are not just for adult inspiration. Quotes can also inspire kids to become their best selves. The story of childhood and adolescence is an interior journey of self-discovery and growth. 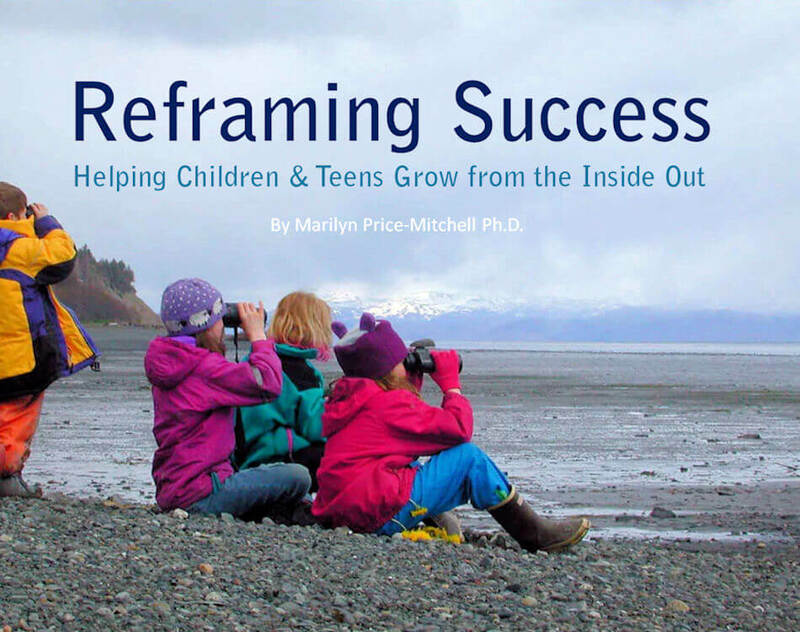 We know that when parents, teachers, and adult mentors stimulate children’s inner worlds, young people become more self-aware. They begin to make sense of the connections between their thoughts, feelings, and sensations. These connections stimulate the brain’s neuroplasticity and are critical to a child’s social, emotional, and cognitive learning. 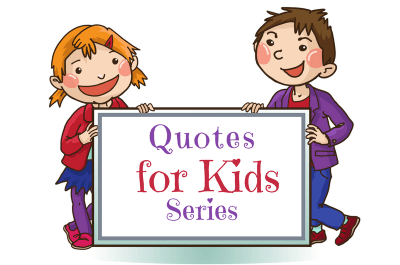 Why a Special “Quotes for Kids” Series? Children find meaning and purpose in life in many different ways. Reading and contemplating a good quote is much like exploring the underlying messages of music or poetry. Each is a rich repository of information where intimate thoughts and feelings can be stimulated. Quotes compress ideas and, at the same time, expand children’s abilities to ponder and appreciate them. When we engage children and teens with meaningful quotes, we can help them change themselves and the world around them. Think of quotes as teaching tools—not to tell kids HOW to live, but to engage them in understanding the WHY of their lives. Quotes are a way to help kids think and feel deeply, to find meaning and purpose in ideas that make a difference to themselves and society. Quotes can help children discover their identities and find their own voices; they elicit stories that help kids connect to others. If you search the internet, you can find millions of quotes—quotes about success, learning, wisdom, friendship, and much more. The challenge is to find quotes that resonate with children and teens in ways that engage them as unique human beings. When quotes are too dense or difficult, children’s appreciation of them is diminished. The best quotes for kids are ones that contain simple ideas and can be discussed at multiple levels of understanding. They illustrate simple, understandable ideas. 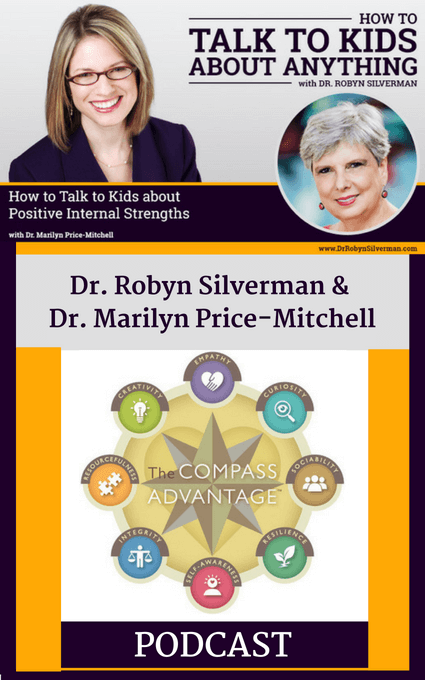 They support the research on positive youth development, particularly how children develop the eight core human abilities depicted in The Compass Advantage. What is The Compass Advantage? The Compass Advantage is a framework for supporting positive youth development. 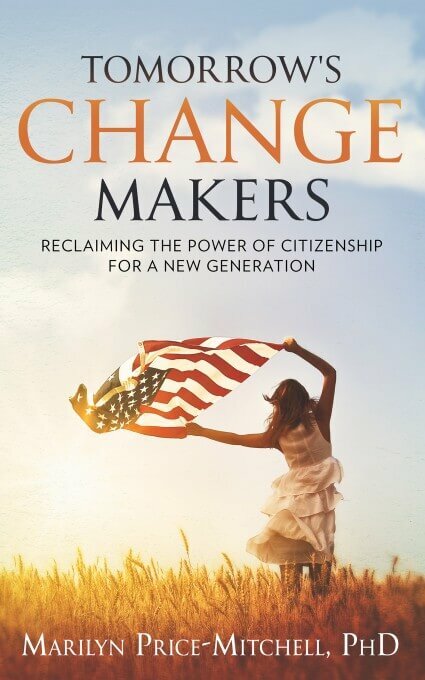 I first introduced the framework, based on decades of research in child and adolescent development, education, psychology, and neuroscience, in Tomorrow’s Change Makers: Reclaiming the Power of Citizenship for a New Generation (2015). All children have key abilities that allow them to map a successful route through school and life. They use those abilities like an internal compass to direct their learning, locate supportive relationships, survey their environment, explore choices, seek truths, discover ideas, cross new boundaries, travel to unknown places, and return to safety when they feel lost or alone. Research shows that these abilities give children greater advantages than a list of external achievements—helping them believe in themselves and live satisfying lives. Quotes for kids that focus on the eight compass abilities provide children with powerful ways to think about themselves through a new lens. Talking about the internal strengths on the compass helps children identify, explore, and resolve the tensions between who they are and who they want to become—between right and wrong, hope and despair, love and hate. 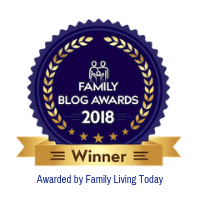 A fun way to explore the compass abilities at home or school is with meaningful quotes that are easily understood at a variety of age and developmental levels. 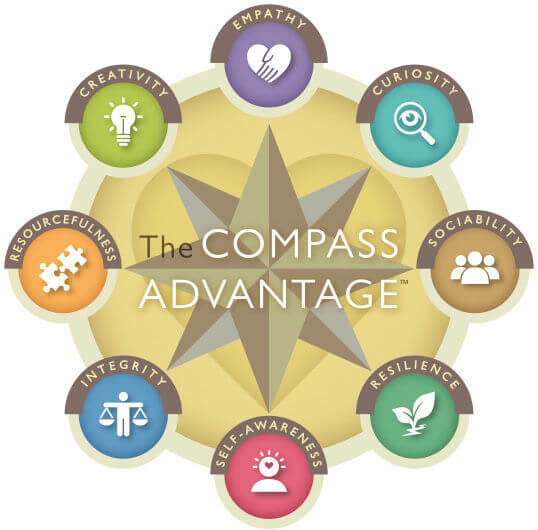 There are hundreds of everyday ways we help children and teens develop the core abilities in The Compass Advantage. 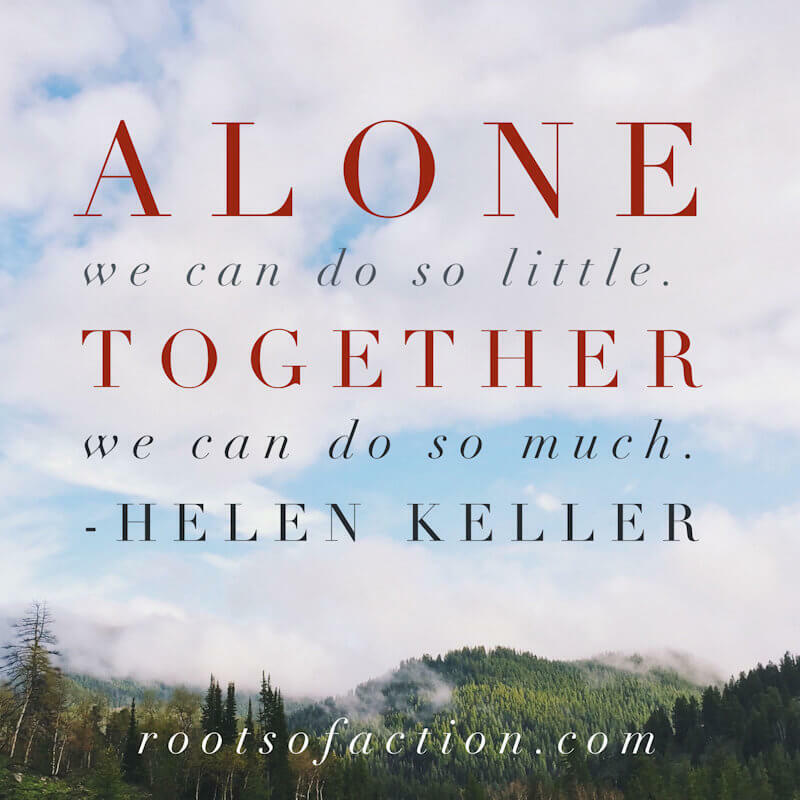 The Roots of Action website is devoted to sharing resources and information to help parents, teachers, and after-school mentors foster the compass abilities. This series of articles focuses exclusively on how to use inspiring quotes for kids as an activity for home, school, and in after-school programs. This is the first and introductory article to the nine-article series. Each of the following eight articles contains twenty-five quotes that are intricately related to the abilities in The Compass Advantage: curiosity, sociability, resilience, self-awareness, integrity, resourcefulness, creativity, and empathy. 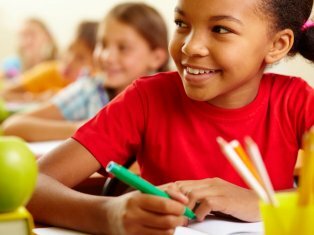 Articles begin with a brief explanation of the ability and why that ability is important to the positive development of children and teens. I am constantly amazed by the new and exciting ways parents, teachers, and youth mentors are teaching the compass abilities and putting them into practice in homes and classrooms. I encourage you to be creative with how you use the 200 quotes for kids contained in this series. What the quote means to children. Encourage kids to speak for themselves, from their own experiences. What the quote means to adults. Invite adults to speak for themselves, from their own experiences. How the quote could apply to different situations in the real world. Encourage everyone to reflect on how the meaning of the quote could be applied in their own lives, or in the broader world. The following are a few guidelines for parents, teachers, and after-school program leaders. Additional ideas for discussion starters can be found in each article. 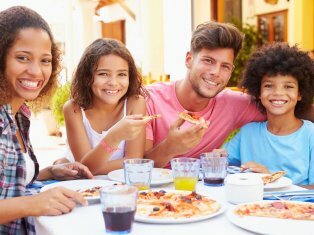 Some families discuss quotes over a weekly meal; others at a weekly family meeting. The beauty of inspiring quotes is that they illicit different meanings for different people, so there are no right and wrong answers at any age. Conversations about quotes provide great opportunities for families to practice listening to each other in new ways. Together, families might memorize their favorite quotes and post them in a special place. 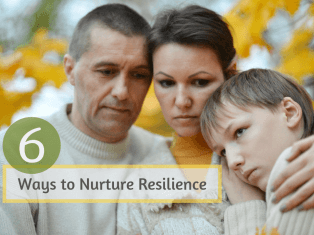 When daily interactions, challenges, and conversations emerge that call for inspiration, parents and children can reach to their memory banks or a bulletin board for a quote that is applicable to the situation at hand. Some teachers begin the morning with a “quote of the day” and ask students to briefly discuss what the quote means to them and how it is applied in daily life. The motivational quotes for kids in this series can be used to stimulate essay writing where students can practice reflectivity and discover meaning to life experiences. What’s surprising is the variety of different essays that can be generated from one stimulating quote! And, of course, if you are using The Compass Advantage in your classroom, these quotes will go beautifully with your curriculum. After-school program leaders can use quotes for kids in much the same way as families or teachers. Consider starting or ending your activity with a relevant quote. Allow children to reflect on its meaning and share stories related to the quote. How does the quote relate to teamwork, learning, or having fun together? Ready to discover 200 inspiring quotes for kids? Click on any one of the next articles in the series below to discover 25 quotes related to each ability in The Compass Advantage!